"Downtown" Mathews Court House last Sunday. I was admiring the blue sky when something in the distance caught my eye. Just another day in Mathews Court House. Technology Transition Week Update: My bestest, favoritest, most wonderfulest son in the whole wide world fixed my new laptop last night, however I've not had time to figure out how to download pictures with the new software yet, so please be patient for the Beachland story. I am praying I can figure this out by Friday anticipate it will go up on Friday. In the mean time, when was the last time you were driving down the road and almost clipped a Claus? Over the weekend I drove down to Williams Wharf and was a little sad to see the one waterfront building (most recently used by the high school crew team) had been torn down. That it had been torn down was no secret, but I had been in denial about it all and was reluctant to actually see it with my own eyes. I have a fondness for old structures even when they have far outlived their usefulness. As I like to say, there is beauty in imperfection. They're making way for a brand spankin' new boathouse. Click here for those details. I spent a great deal of time perusing the shoreline where that building once stood, looking at all the oyster shells, pottery shards and pieces of thick, old glass. I thought about all the people over the years who have passed through here whether by necessity or for pleasure. I'm sure the new building will be wonderful, and no doubt spectacularly more functional than the old one. There are lots of exciting prospects for the future. But I hate to see things go, even when it is for the better. This shot, taken a while back--spring maybe?--shows a glimpse of the building when it served the local crew team. Self-portrait taken through one the windows. I had no idea when I took these that the building was going to be torn down. Now I wish I'd taken more, although over the years I've accumulated hundreds many. Speaking of resisting change and being more comfortable with old things a fondness for the old, I am transitioning from my dilapidated laptop to a new one. For the first time in my 46 years on this planet I have purchased a computer myself. Every other one was a hand-me-down from someone else, and usually very outdated and oh-so-antiquated. As we speak, however, I am still typing on the old one because, although the set up on the new one was so easy even a blindfolded cave woman with one arm tied behind her back could do it, I did something wrong and am completely flustered because I cannot connect to the internet. Everything was going fine until I declined the Norton 60-day trial and then changed my mind and went back in to download it. So I think I did something out of sequence and now it seems to be blocking everything. Chesapeake Bay Son needs to help me figure this out, but in the mean time just know that this week is Technology Transition Week, and we all know how CBW does with change. And technology. Hopefully CB Son can straighten this mess out, and I will miraculously figure out how to load photos on The New System so I can finally tell you about my delightful visit to Beachland. but is deteriorating. It's still a wonderful old home, though. When viewed from a distance, you can't see the flaws. Anyway, today's post is a hodgepodge of random thoughts, which is no different from any other day here, really. It's sort of like a Three Thing Thursday on Monday--with six things instead of three. 1. The Chesapeake Bay Family celebrated Thanksgiving in the most unorthodox way humanly possible. This topic deserves a separate post but let's just say that lots of driving and this place (click here) were involved. Oh yes indeed. The only thing that would have made it any crazier would have been if we'd all been wearing crab hats. And trust me, we did not want to draw attention to ourselves in that crowd. 2. The movie Eat Pray Love is now one of my favorite movies of all time mostly because of the way it ends (in Bali, which isn't Bora Bora, but sure looks good to me). One night when the Chesapeake Bay Children were both gone, looking forward to a nice, quiet evening alone with my new movie, I attempted to load it on to the DVD player in my bedroom. Since it's been so long since I've watched a movie, evidently I forgot which button to push on the remote. No problem! Still optimistic, I trotted into the living room and loaded it into that DVD player. The audio worked just fine, but no matter how many cuss words I uttered buttons I pushed I could not for the life of me get the video to work. Note: Ordinarily Chesapeake Bay Son handles all the technical issues in this household. I was not going to embarrass him by calling to ask how to operate the DVD player. I was bound and determined to figure it out on my own, gosh darn it. Oh, and no, I could not watch it on my laptop, because my laptop screen is fried. That's another story for another day, although the problem will soon be rectified. So, I resorted to the one thing I knew would work: a "portable" DVD player/TV combo (the size of a mini-fridge) with only one plug and no remote or other confusing buttons whatsoever--from circa 1995 2005. The screen was so small I had to practically press my nose against the screen to see pull my chair very close up to see. (Note to self: Please schedule that eye exam that is now two years overdue, otherwise you're well on your way to being legally blind.) Finally I saw the movie, and I loved it. Success! 3. The photos above were taken from the public landing just below the Court House. I have long admired this house and try to capture her every chance I get since she seems to be deteriorating. 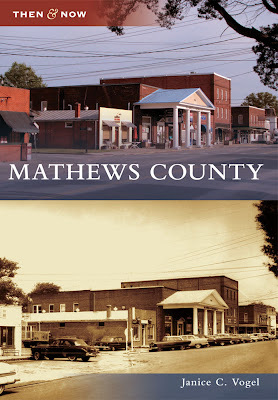 4.Yesterday I had the honor of meeting a Mathews resident who can trace her roots in this county back to the 1700s which was the same year that DVD/TV combo was invented. Later this week I will share photos of her absolutely exquisite home called Beachland, and snippets of our conversation about her family. Beachland is the sort of home that gives you chills; you can feel the history even as you drive down the driveway. Unfortunately, I didn't bring a pad and pencil with me, so most of the history she shared will be filed in the same part of my brain that remembers forgets how to operate the DVD players in my own house. However, I am hopeful I will get back there for a longer visit to delve deeper into what is most assuredly a great chapter in our local history. 5. I made the best batch of collard greens this weekend. Slow cooked them with a ham hock. I do believe I could eat collards morning, noon and night and never get tired of them--but only if they're cooked in old ham. 6. Arcadia Publishing has scheduled a couple of book signings for my book. The first will be December 10th, the weekend of the Christmas parade, at the old Sibley's General Store, now the Mathews County Visitor Information Center. The next one will be the following weekend at Twice Told Tales in Gloucester. I'm working on a third at Sandpiper Reef but will probably wait and do that one early next year. More info/details coming soon. Right now I am just trying to survive memories of Thanksgiving at the Golden Corral the transition back to the work/school week. Click here or here to read posts from 2008 reviewing things for which I am thankful. Or here to read what I was thinking in 2009. Last year's post is here. Most of all I wish everyone a very happy Thanksgiving filled with fun; crazy family members family; hot, buttered mashed potatoes and gravy by the boatloads; fried oysters and a very long nap. Happy Thanksgiving from the Chesapeake Bay Family. Sometimes words aren't necessary. Enjoy. p.s. Except I can't help myself I would like to add that ordinarily when I'm at Aaron's Beach it's just after sunrise. In this instance I took an evening drive down there to test out my ailing camera. As long as I keep the camera set on the sports mode, the problem with the ISO and lighting doesn't occur. These photos were taken in dim light and didn't come out any darker than they should have. I can only hope the camera keeps from dying before I make a trip later this week to a historic Mathews home called Beachland. There is quite a story to be told there and I need pictures to go along with it. But for now, I've already written too many words on what was supposed to be a wordless post. I did try, though. Disregard the utility wire and the shadow from the telephone pole. This was taken hastily from the car. Note: CBW does not condone unsafe driving practices even if she does employ them from time to time out of necessity. These were taken about a week ago during my recent Meals on Wheels route. The last person I delivered to lives near the end of Route 657, Bookers Lane. The Mathews Active Lifestyle Center runs our local Meals on Wheels program, and the food is prepared by the Mathews High School cafeteria workers. They are always in need of drivers. You don't have to commit to a regular schedule, you can substitute like I do. It's a very rewarding experience and entails so much more than just delivering food. I encourage anyone who is able to help out with this great cause. Here in Mathews you can call (804) 725-7850 to sign up. 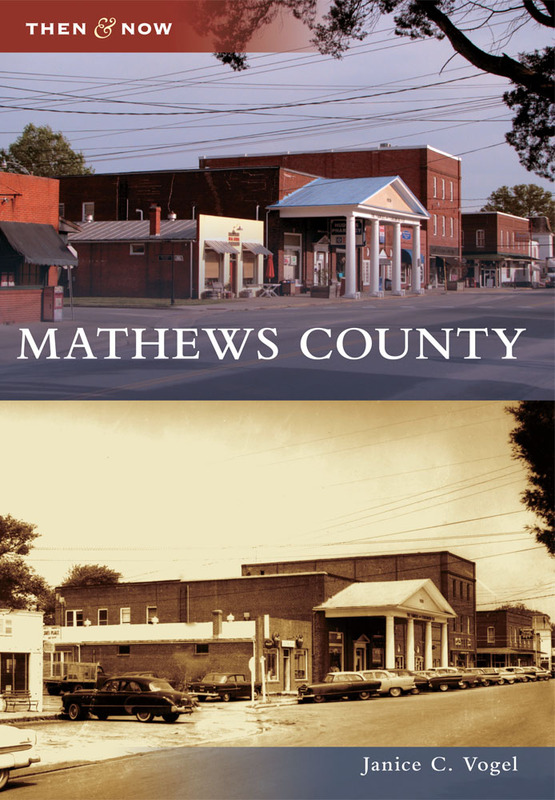 If you aren't from Mathews and wish to locate a program near you, click here. In other news, the Mathews High School girls volleyball team won the state championship Saturday. For almost two years now, I've been carrying around an unfinished project known as The Book. On December 5, I'm scheduled to give birth. This labor of love is scheduled for a December 5 release. More details to follow when I figure them out soon. It's Thursday once again, time to share three random things. 1. One week from today is Thanksgiving, which is really difficult to believe, particularly since I still have rotting jack-o-lanterns on the front porch. 2. Why is it that when I lived in Northern Virginia/metro DC, an area peppered with world-class restaurants, I didn't care a lick about sushi. Now that I'm back in Mathews, where they think sushi is a mispronunciation of a pig call (sooey!) and the nearest place to get most anything sushi is 20-30 miles away (depending on where you go), I think about it every single day. 3. This whole sushi conundrum reminds me of my hair. In my younger years, my hair was as straight as a poker. During the decade of great big honkin' hair (the 1980s), I permed it until it nearly disintegrated off my scalp, all in the hopes of achieving the tiniest bit of body and curl. Now that I'm old as dirt older, and straight hair is "in" at least with the teeny boppers younger set, my hair just wants to curl right on up, entirely on its own, without so much as an invitation to do so. There's a lesson in all this, somewhere. Life seems to be saying, "CBW, whatever you want, you aren't going to have at the time that you think you want it. So you may as well accept and be happy with what you do have and get over it, for Pete's sake. Either that or learn to make sushi yourself, daggone it." From Thanksgiving to unattainable sushi to unruly hair to acceptance and giving thanks for what you do have vs. worrying about what you don't have. There! I knew I could tie all these random thoughts together into one big package. It begins and ends with being thankful. around this unusual white one. I count at least four; one to the right and three to the left of the white turkey. A few weeks ago, the Chesapeake Bay Children and I were invited to a Sunday dinner down Onemo. After supper we went riding around and happened upon a flock of wild turkeys. Wild turkeys are not an unusual sight around here, but what was unusual was the one white bird in the group. Anyway our dinner hosts, both of whom work for the Fish and Wildlife Service, had never seen a white, wild turkey (other than this particular one) before. So just what makes this wild turkey so white? Leucism? This site references a condition called leucism, which is "a very unusual condition whereby the pigmentation cells in an animal or bird fail to develop properly," resulting in "unusually white patches...or, rarely, completely white creatures." Albino? If it were albino, according to that same site, there would be pink or red eyes, and I can't tell what color the eyes are here. Regardless, albino doesn't sound right in this instance. Mixed breed? This site talks about a Narragansett turkey, which is a cross between the Eastern wild turkey and the domesticated turkeys brought to Colonial America. However, any pictures I found in a quick Google search didn't really look like the one below. Does it matter? In the end I'm just thankful to have spent an evening with friends and turkeys. Anyone know anything about wild turkeys and why we might have a white one in our midst? All this turkey talk reminds me that we're almost a week away from Thanksgiving. from Mathews, but who's counting? what a spectacularly beautiful course. This weekend can only be summarized as no rest for the weary a whirlwind of people and activity. Before I delve into the specifics, let me first state that, for reasons I shall not question, my camera functioned properly at the state cross country meet! Although I'm plenty naive, I am not naive enough to think this will last, because the problem only seems to go away when I have the camera set to the sports mode. But at least my beloved camera is not quite dead...yet. The course is also used for horse races. This jump was near the finish line where I was situated. Kyle Slaughter was the first of the Mathews boys to cross the finish line, 68th out of 131 runners. I'd also like to state for the record that I think Kyle is one of the most photogenic runners I've ever seen. His mom, who graduated with Middle Sis,told me he was approached by a modeling agency at a young age. I see why. Here's how the weekend went. For the abbreviated, cliff notes version, please skip down to the * at the very end. -Was informed they wouldn't have much time for the dinner I fixed because they were going to the Mathews High School football game that evening, if that was OK with me. -Realized I couldn't even relax at this point (i.e. get settled for the night, i.e. put on bathrobe and fuzzy socks) because I had to go back out to retrieve them at 9:00 p.m. and a bathrobe and fuzzy socks would not be appropriate attire if I ever hoped to speak to my daughter again. And I'd really like to. -Drove 3 hours (one way; 330 miles round trip) to the state cross country meet. Although Chesapeake Bay Son was not running (he was an alternate and would run if one of the top seven runners was injured), I was eager to see the race and excited to get away from home, if only for a day. It was a beautiful fall Saturday, and the leaves still clinging to the trees along the Route 17 corridor were brilliantly colored. -After I got lost not once but twice I arrived slightly frazzled. -I ran into our coach who said, "I don't want to get a frazzled mother's hopes up, but one of our runners might not be be able to race, so there's a chance CB Son may be going in." -This frazzled mother, who was just barely only psychologically prepared to cheer on the team and take pictures with a camera that may or may not be working, was taken aback at this new information which caused an adrenaline rush on top of all the caffeine already saturating her system. Come to find out, the other runner, CB Son's friend who was sick, decided to run at the last minute. -So, after he showered and changed and got all gussied up, I drove him to the Ruritan Club, which thankfully is not far (walking distance, in fact, for a cross country runner) from my house. When I asked what time I had to pick him up? 11:00. That was the exact same 11:00 I had hoped to be horizontal in bed. The very same one. -Out again I go at 11:00 to retrieve him. After that, then and only then could I relax for the day. -Suddenly I felt absolutely no remorse for submitting, as part of the marketing material for the book which asked questions about my background, that I was "only remotely qualified to do a book on Mathews but was over-qualified to be an uncompensated taxi driver for teenagers." I don't think they'll use it, but I swear that's what I wrote. And I mean it. * My weekend consisted of driving to and from a revolving door of events for my children. The only other thing I did was put more miles on the odometer gas in the car. I'm tired and need a vacation that does not involve driving. The End. These were taken as I was getting ready for work one recent morning. Although there wasn't much light yet, these are still darker than they ought to be. That's because there's a problem with my most prized possession, the one thing that consistently brings me joy, my buddy, my pal, my comrade, my best friend, my steadfast companion my beloved camera. Alas, although I can still take pictures, and occasionally they come out OK, I learned yesterday (after spending some time on the Canon website) that there's a problem which requires me to send the camera in for repair or drive ten thousand many, many miles to the nearest repair shop. I will probably drive it to a repair shop, except with everything going on, that likely won't happen for a couple of weeks. So, unless a miracle happens, you can probably expect some recycled photos here starting next week. Excuse me while I burst into tears do my best to forget all about the fact that I am supposed to take pictures at the state cross country meet this weekend. My neighbor waving as he pulls his boat up Millers Cove. Welcome to Three Thing Thursday, which is sort of like a three ring circus of thoughts, particularly if it's pouring out of my brain the day of the week where we're encouraged to share at least three things, whether they are related, unrelated, important or trivial. In case you're wondering, there's nothing too trivial to share. In fact, that could be the tagline of my blog: Life in Mathews: Where It's All About The Trivial! I'll go first with my three things. 1. Actually, for every trivial or mundane thing I share on this blog, there are usually several Major Things going on in the background that I choose not to focus on or share here. As a result, you hear stuff like "I wanna be a dancing oyster," or "Who's gonna take me to Bora Bora?" instead of the things causing me to rather be a dancing oyster in Bora Bora. It's complicated, but just know that living in denial choosing to focus on the trivial things rather than the negative, in my opinion, is not just good, it's imperative to good mental health. Warning: Taking mental health advice from CBW could be dangerous to your own mental health. 2. In other news, I am very excited to report that I've been summoned to duty by the Meals on Wheels people here in the county. Forever and a day I've been on the list of substitute drivers. (My schedule is completely insane anything but regular and very unpredictable, otherwise I'd be a regular vs substitute driver.) When I first signed up I was called frequently. But for about the past year now I've not heard from them, which is just as well since every spare minute of my time was eaten up by all the work on the book. Well lo and behold I received a call over the weekend and will be driving the Mobjack route today. This entails delivering food to elderly people who are otherwise incapable of leaving their house on their own, though it is as much a "checking in" with these folks as it is anything else. I absolutely love doing this and am very much looking forward to seeing who is still alive since the last time I drove this route is on the route this year. Continuing along with the fantasy of "What I'd Do If I Won the Lottery," aside from aspiring to be a dancing oyster or a crab-hat-wearing 5K runner, I'd be quite content being a full-time volunteer Meals on Wheels driver. Click here for one of my Meals on Wheels stories from 2008. I think it's worth the click and illustrates some of the many reasons I love being a Meals on Wheels substitute driver. 3. The Mathews High School Cross Country teams travel to Great Meadow at The Plains this weekend to compete in the state cross country championship meet. Good luck, Mathews! 3b. There's lots to say about the local elections yesterday, but for now all I will say is I went to the prom with our new sheriff. (He was a junior; I was a sophomore; the year was 1890 or 1980--same difference.) I also went to a prom with one of our former deputies, but all this is a story for another blog day. This was taken from my back stoop. Does anyone say stoop anymore? Hello, CBW? The year 1890 called. It wants the word "stoop" back. A friend of mine who works at the Fish and Wildlife Service tells me these are dunlins - a word I've never heard before in my life unless we're talking about chicken and dunlins, and I really don't think anybody would ever confuse dunlins for dumplin's I really don't think we are. I would have said sandpiper or something like that. For all I know sandpiper and dunlin are interchangeable terms, like saying Kleenex for tissue, or Xerox for copy. Or somethin'. All I do know is there was a bunch of these birds down at Aaron's Beach the same day I saw that deer. What's the difference between a dunlin and, say, a sandpiper? Am I the only one who has never heard of dunlins before? far, far away from the actual event. This weekend was the Urbanna Oyster Festival. Although I really just wanted to lie on the couch all day long and do nothing, I forced myself to go. And I'm glad I did. As you can see, it was a beautiful day, not too cold, and not too hot. This was taken from the bridge at Urbanna Creek. Just when you think you can't walk any more, they bombard you with fried food. The guys above are from Mathews; their oysters are farm raised and their french fries are the real deal. Very, very tasty, especially when sprinkled with Old Bay. Click here for a video which features them showing how to shuck an oyster. If I ever win the lottery, I want to spend my days dressed up as a dancing oyster--but not just any dancing oyster, this dancing oyster. A dancing oyster with a tooth and a very festive attitude. This guy is my favorite part of the Oyster Festival parade. Last year I danced with him. This year, I was more subdued. There were all sorts of characters out and about. When I posted these clown pictures on Facebook, I was reminded how many people find clowns rather creepy. I find them to be hilarious. In fact, if I won that lottery and couldn't be that dancing oyster character, I might like being a clown. Except I'm not sure about all the talking I'd have to do to kids and perfect strangers. So, I'd probably be an introverted clown. And introverted clowns really are creepy. OK, so never mind on the whole clown thing; I'll stick to the dancing oyster character. Dancing, snaggle toothed oysters don't have to talk. They just dance. I can handle that. And now we come to the end of this brief glimpse into a very troubled mind the Urbanna Oyster Festival. When I press the button to shoot a picture, a message comes up that says Auto ISO - 80. A Google search said that number should ordinarily be about 100 (or higher). Why would it be defaulting to 80 even in bright light and how do I fix it? Help! This is Nellie, who is the sister of my favorite grandmother (Bernice, pronounced BURRniss); she's my mother's aunt. One thing I can tell you about Nellie is she loves everyone; she loves to laugh; and she can tell a good story. No matter what it is she's laughing at, you can't help but laugh along with her, it's contagious. Nellie and my mother could be sisters, they look so much alike. Nellie is married to the young man below, Bill Braxton. They currently reside in Florida, and they're both very inspirational people in their own ways. he is young and he LIVES young. This young man, who is in his nineties, drove the two of them all the way from Tampa clear up to Pennsylvania recently, and they stopped in Mathews and Gloucester to visit with friends and family on their way. Bill and Nellie met when they were much younger. They went on to marry other people but when their spouses passed away, they not only reconnected - they decided to get married. Bill sent me a couple of emails filled with memories jogged by his recent visit. The first mentioned an old tree at Flat Iron. For those who have ever driven down Ware Neck, this would be the huge, old tree you pass when you turn off Route 14 at Welford-Taliaferro Wayside, at the very first sharp bend to the right, just past the couple of buildings that used to belong to my great-grandfather. Bill says, "The tree must be at least 200 yrs old; Nellie says she played under it when she was little. Next time you pass that area, take a look at the historical marker across the road from the Strigle home. It is dedicated to the Womens Air Service Pilots (WASPs) of World War II. Margaret Ann Hamilton Tunner was a Gloucester girl who was one of these pilots. Her father was General Tunner who commanded the Berlin Airlift in 1948. I was a pilot on the Berlin Airlift and also served under General Tunner in the Korean War. Also, I had one of the WASPs as an instructor in Flying school. So many memories!" About the Old Mill Skating Rink, he said: " I know you have seen this a thousand times or more, but can't pass the place without driving in and just looking and thinking of the great times. If someone asked me the happiest years of my life, I would have to say 1940 and 1941. Nellie was the prettiest girl in Gloucester; I never had trouble getting a load of guys in my car to visit the rink. Why did they have to put in that bridge at Yorktown and ruin everything? Gloucester ain't what it used to be. Click here for a post I did about the Old Mill Skating Rink which includes not only a picture of it but our Bill's memories of the place. Click here for Part II of Bill's story where he talks about meeting Nellie. Nellie and Bill's visit was all too brief, but we savor every minute we get to spend with them. Last but not least, completely unrelated to anything above other than I'm still talking about my family and how much I treasure them, I'd like to share a photo of my parents and my son at Wednesday night's Beta Club ceremony at the high school. I love and appreciate them all.